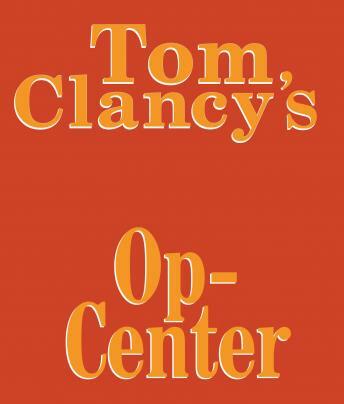 Listen to "Tom Clancy's Op-Center #1" on your iOS and Android device. A terrorist bomb explodes during a South Korean celebration of the anniversary of the election of its first president. Alarms are raised in Washington. No one is claiming responsibility. The first suspect is North Korea. Could it be making a power play against South Korea and unification? If so, how will the U.S. respond? Paul Hood, Director of the Op-Center, must answer these questions. The Op-Center, a largely autonomous new agency which takes on the government's toughest security problems, is only six months old, and has never been given a foreign crisis until now. Hood's team, which includes a general, a former ambassador, a psychologist, and a computer specialist, tries to find the solution, only to discover a factor that could change the new world order. Not a bad story, fairly slow to start and not as good as a lot of the other Tom Clancy books, the narration made it very hard to listen to, you do get used to it but not good. I thought this book would be better. The story was okay a little boring though. The big thing was the reader he was horrible. Like nails on a chalk board.